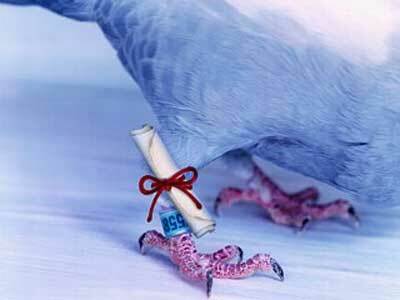 The use of carrier pigeons as an alternative means of communication in places distant from Cuban urban centres will be crucial in the elections to be held today. Eberto Borges, President of the Cuban Pigeon Federation (FCC) in the Cuban eastern province of Holguin, said that in previous years his organization coordinated the use of the birds in the elections with the municipal commissions to guarantee every Cuban its right to vote. In each of the settlements or community located in faraway places, mainly in mountain areas, where the traditional communication means such as telephone lines don’t reach, the use of the carrier pigeons is required at election times. Borges said that each polling station that needs their services will have one of their associates with six pigeons from the minute they open the premises, to send the partial results to the headquarters. Onix Cortes, a FCC member in the town of Cueto, said that on one occasion a carrier pigeon played an important role in the election in his territory. In a small town named El Saíto de Barajagua the day went smoothly until nightfall when the traditional communication system could not be used anymore, then they had to send a pigeon with the closing results of that polling station. Otilio Batista, Borges’s counterpart in Holguin, said that in the elections they will use more than 500 pigeons throughout the country, including the mountainous areas of Sagua de Tánamo, Moa and Mayari. Pigeon breeding is a technique and a sport that involves training, breeding, selection and keeping of pigeons, especially the carrier ones, chosen for their aerial performance and ability to deliver messages and return home and not by the colour or variety of their plumage. There's a precedent for this, RFC 1149 is the standard for the transmission of IP datagrams on avian carriers. There are quite a few of those: http://en.wikipedia.org/wiki/April_Fools'_Day_RFC including one for data transmission via burritos and one with 1s and 0s painted on the side of tanks.